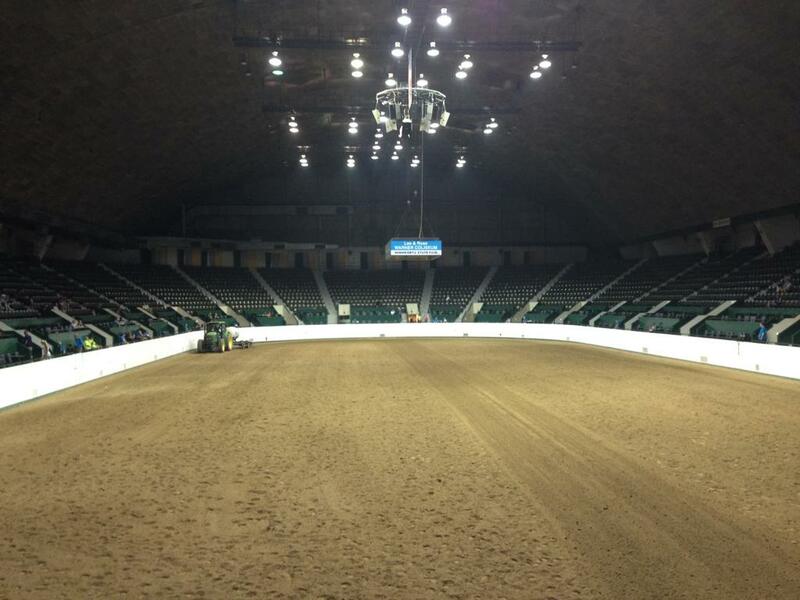 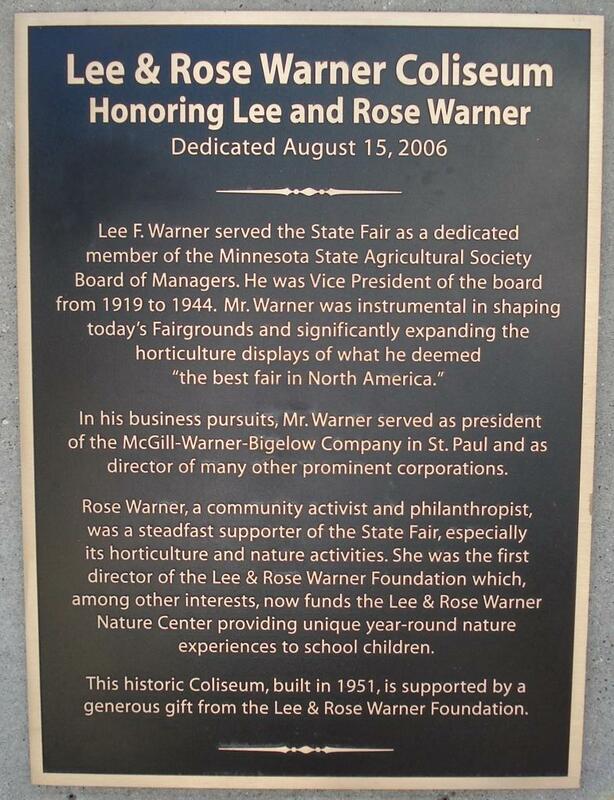 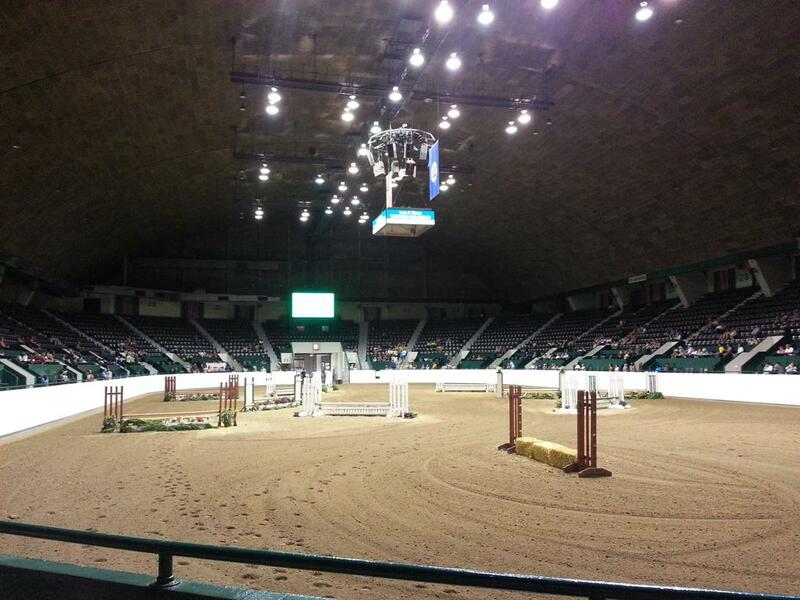 The Lee and Rose Warner Coliseum located within the MN State Fair grounds in St. Paul Minnesota is home to numerous horse, and cattle shows, and houses many small businesses in the concourse during the Minnesota State Fair each year come late August. 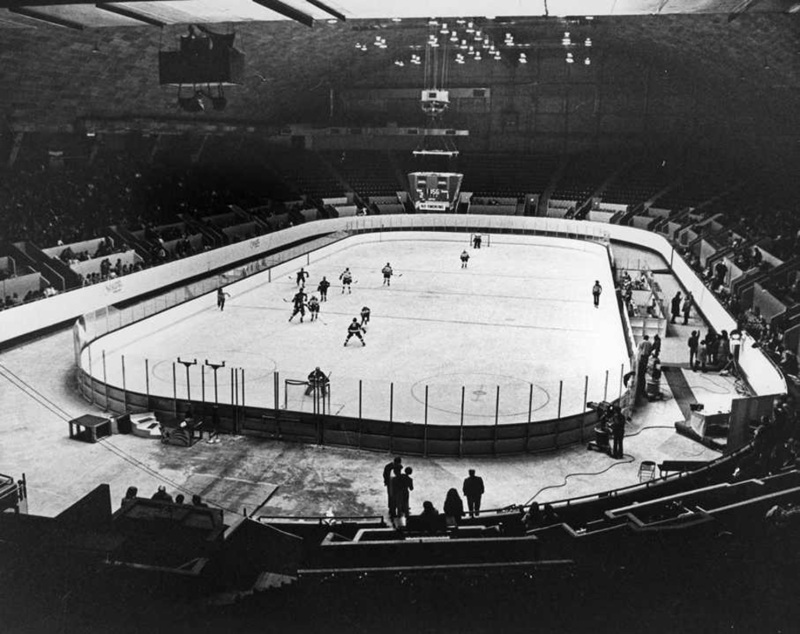 The Coliseum with seating for 5,250 people also featured an underground refrigeration system that, up until the 2014 High School Hockey section finals was used in the winter months for the Minnesota State High School Hockey tournament AA and A playoff rounds, and as a municipal ice rink for many other local ice-hockey leagues. 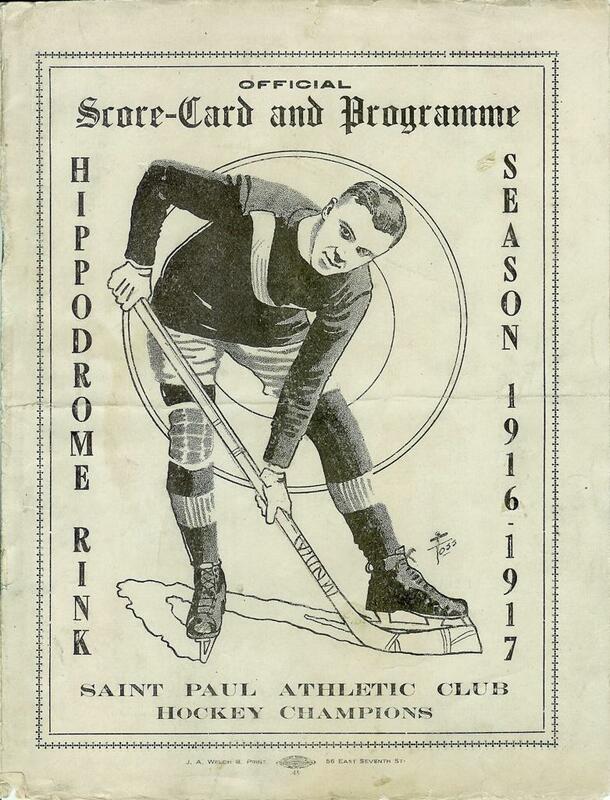 More importantly the Coliseum was the former home to the St. Paul Athletic Club in the former St. Paul Hippodrome. 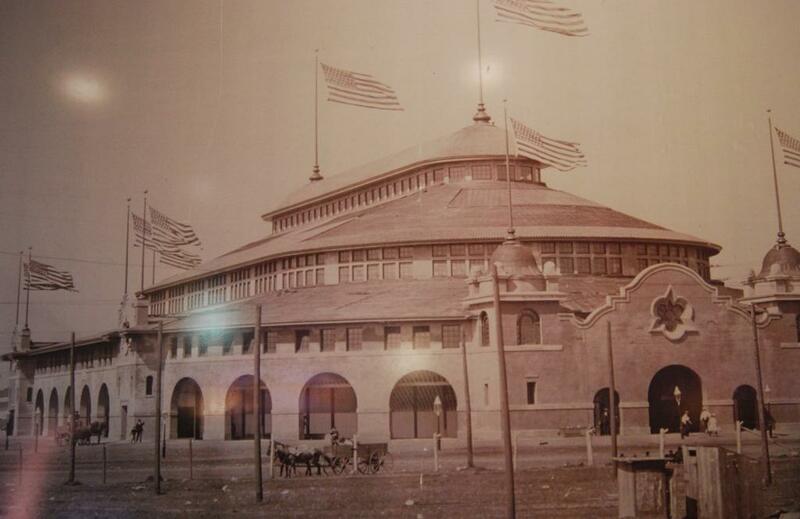 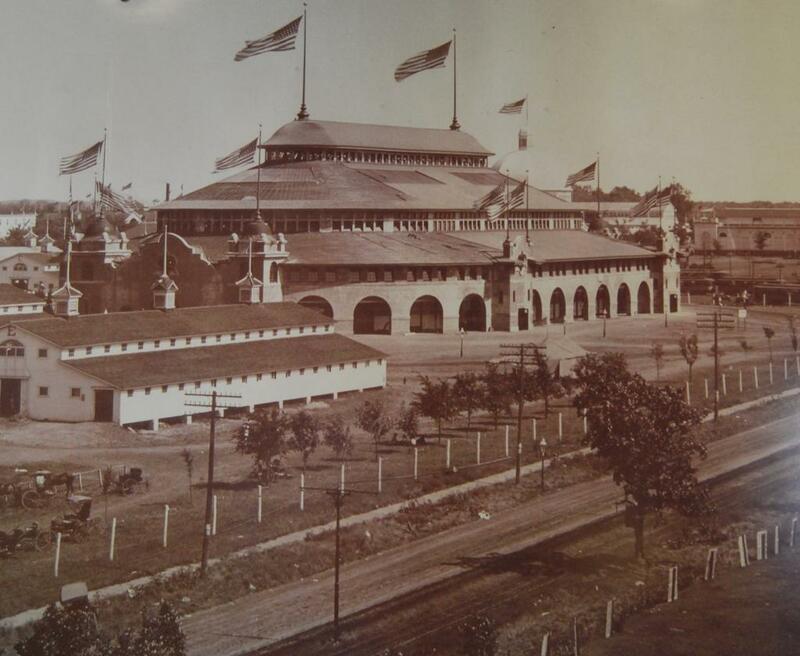 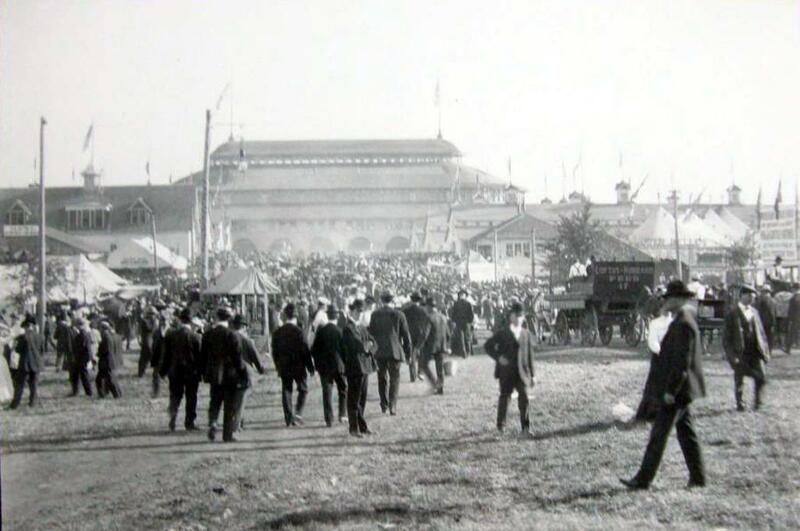 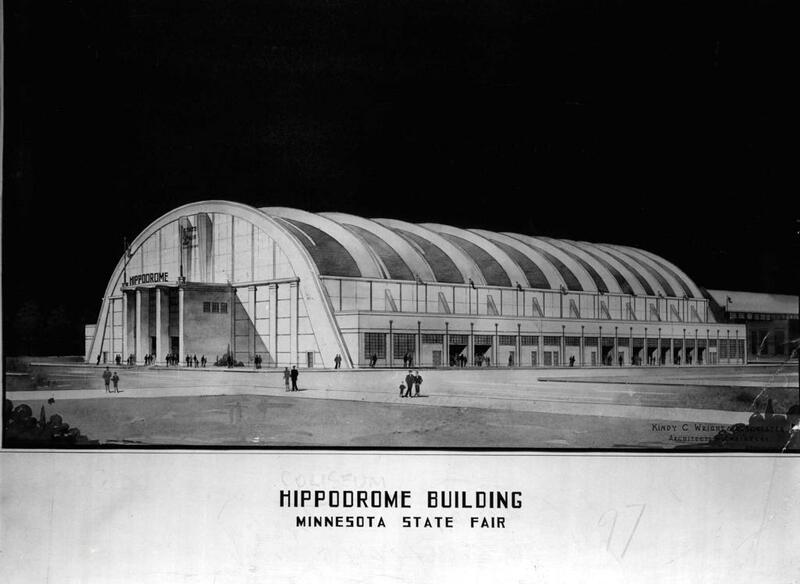 The original Hippodrome, or sometimes referred to as the State Fair Livestock Coliseum was erected in 1906 at a price of $100,000. 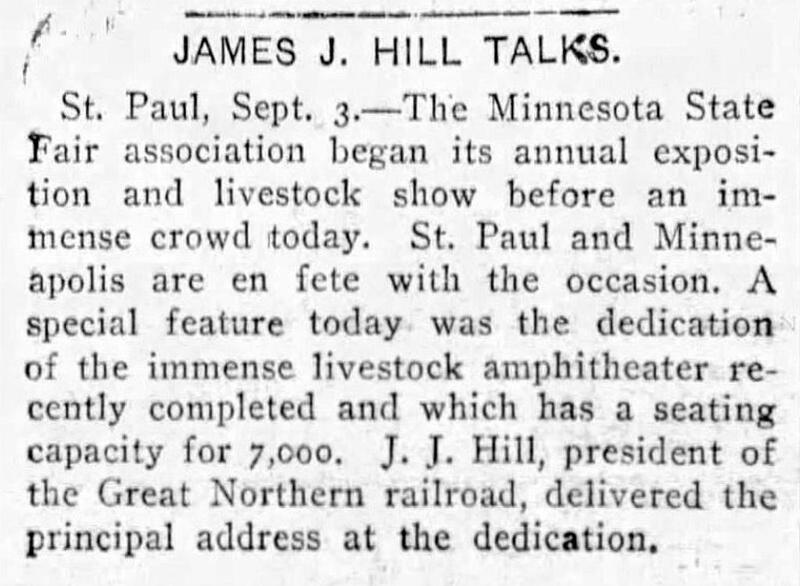 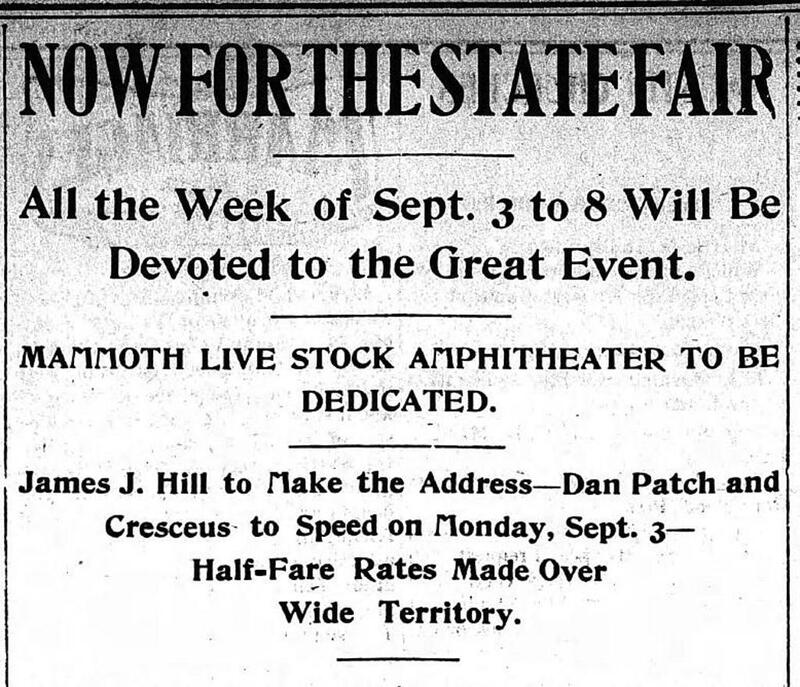 James J. Hill was the principal speaker to dedicate the palatial building, the largest show building in America at the time of it's dedication. 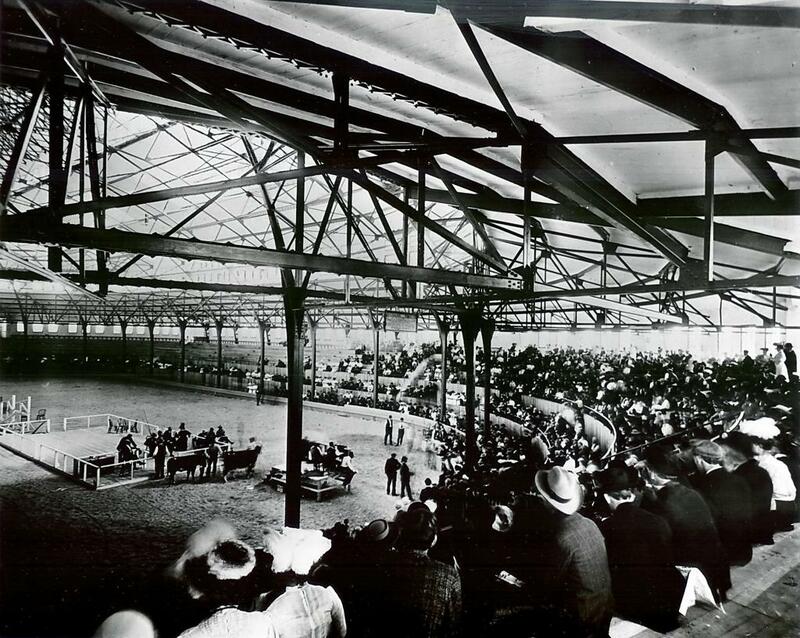 As a livestock coliseum, audiences marveled at handsome animals that paraded around in spirited competitions. 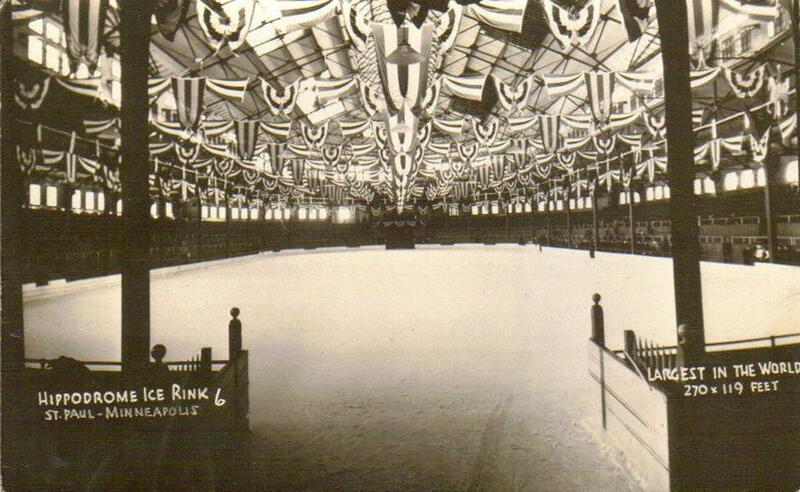 The massive amphitheater come winter was home to the Hippodrome Skating Club of the Twin Cities, and the home ice for the mighty history rich St. Paul Athletic Club hockey team whom captured the coveted MacNaughton Cup in 1915, and went to the National Finals in 1922 and 1923. 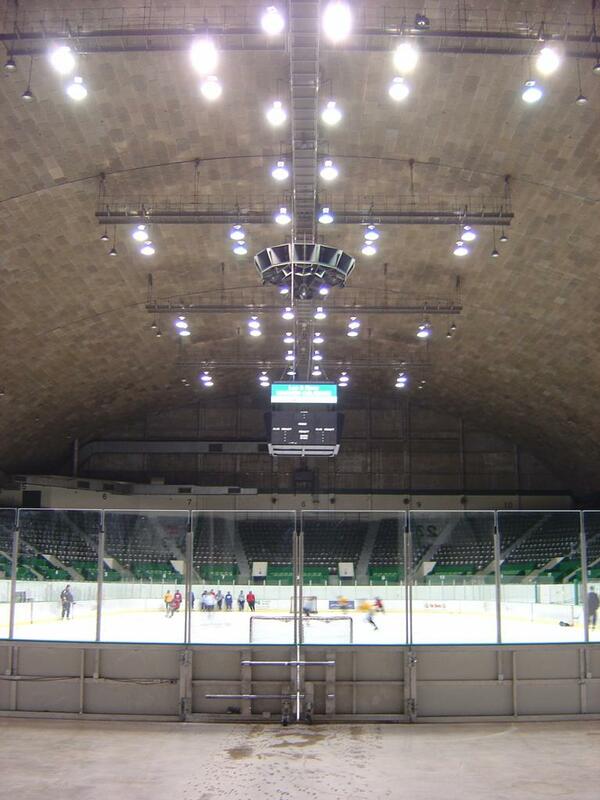 The building had at the time the largest indoor ice-sheet in the world measuring at 270x119 ft. 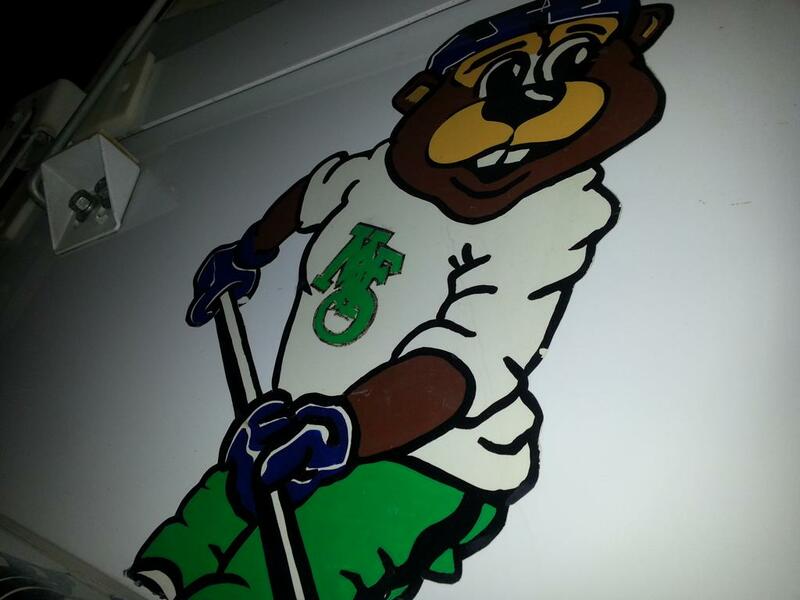 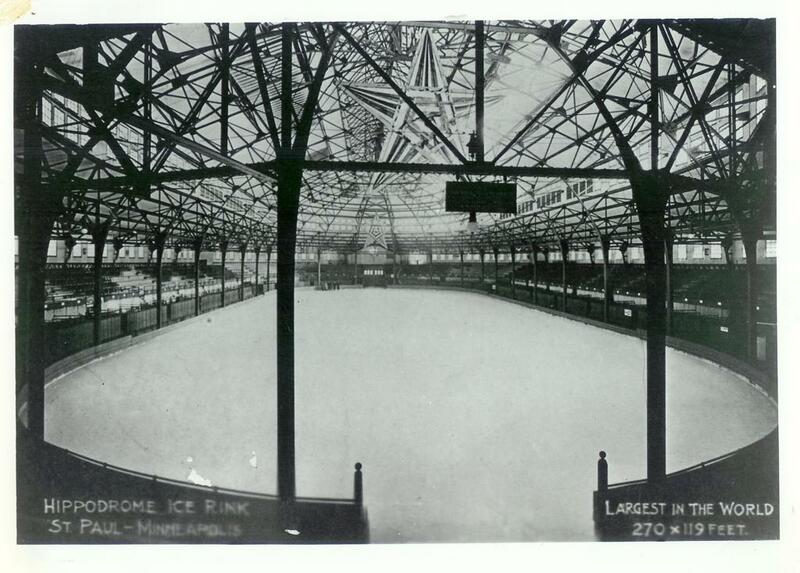 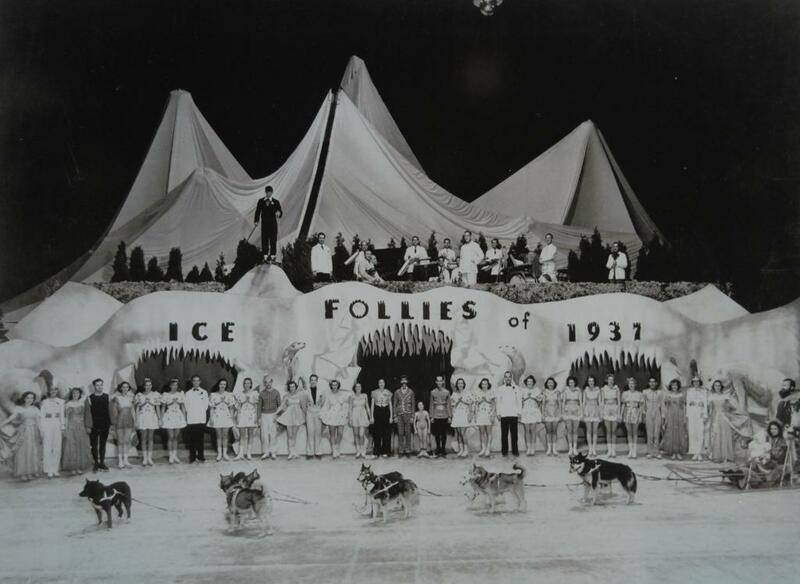 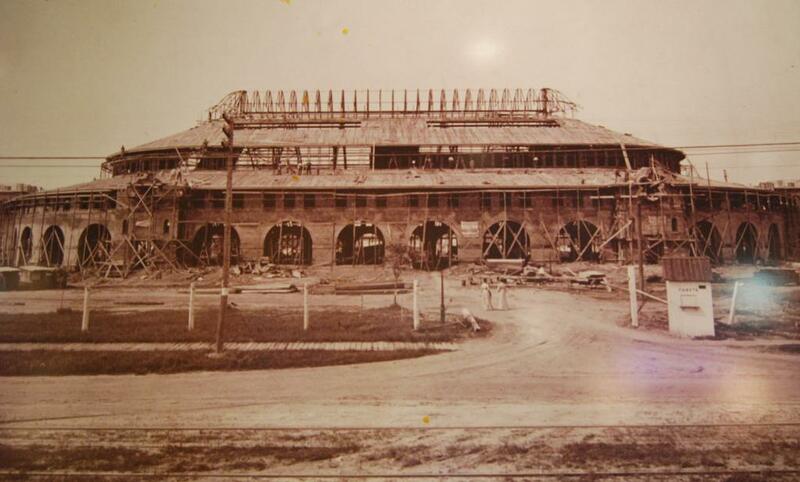 The original "Hipp" - as it became affectionaly known as - was unique in that the rink was flooded and all the doors and windows were opened to let the natural cold freeze the ice. 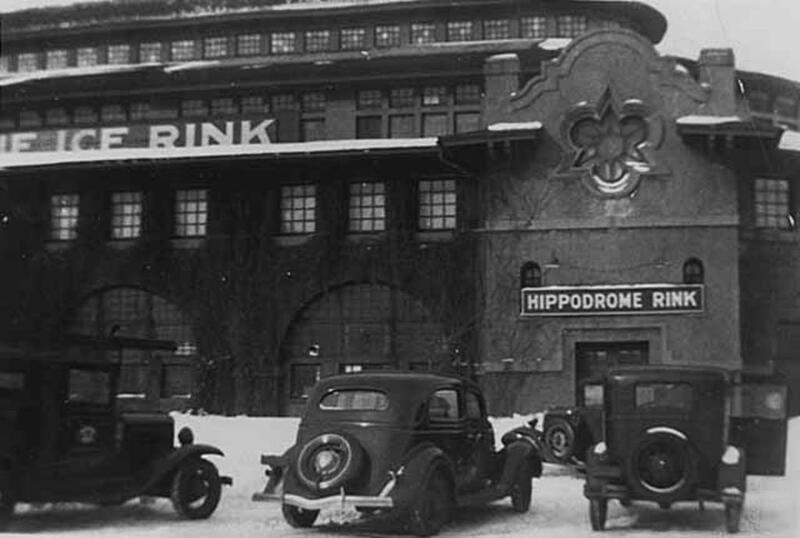 During World War II the Hippodrome was leased by the Government and converted into a propellor plant. 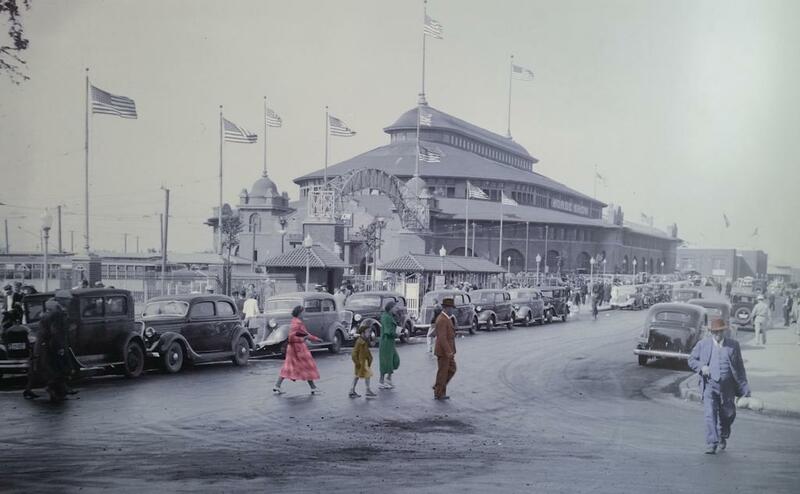 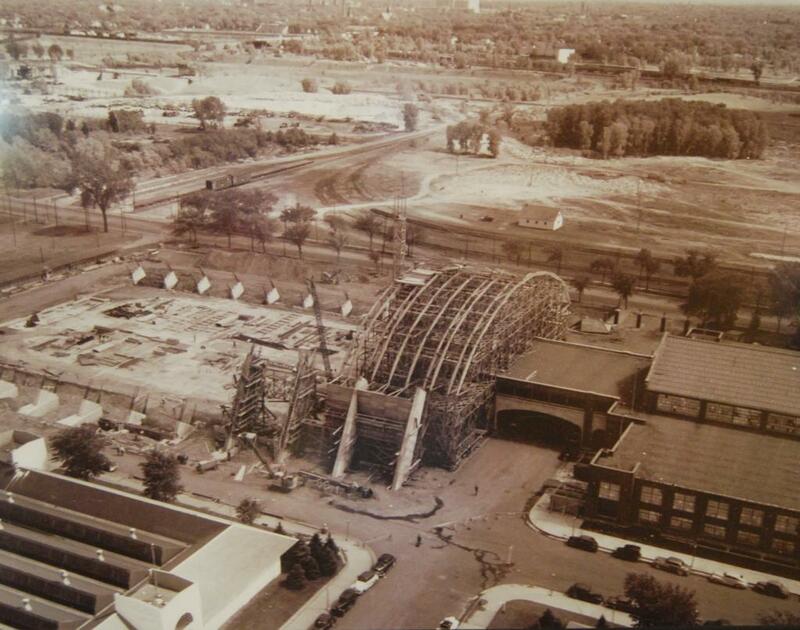 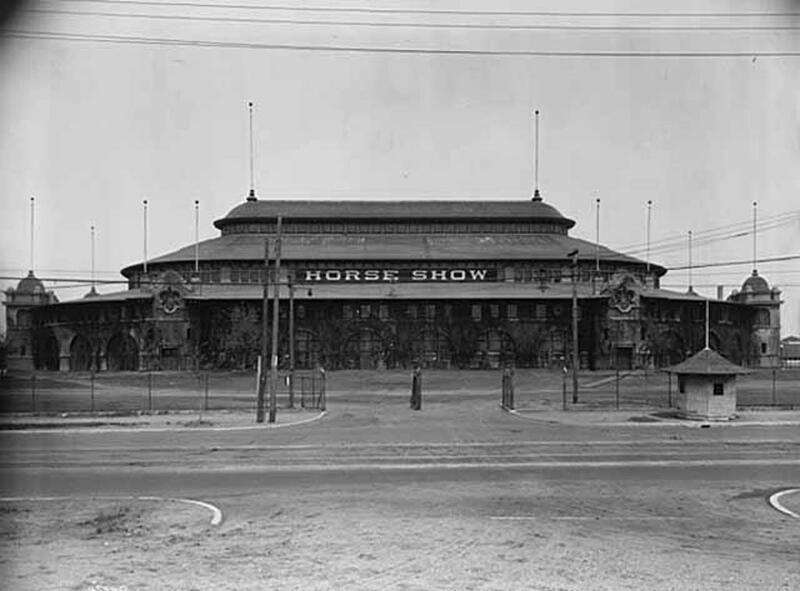 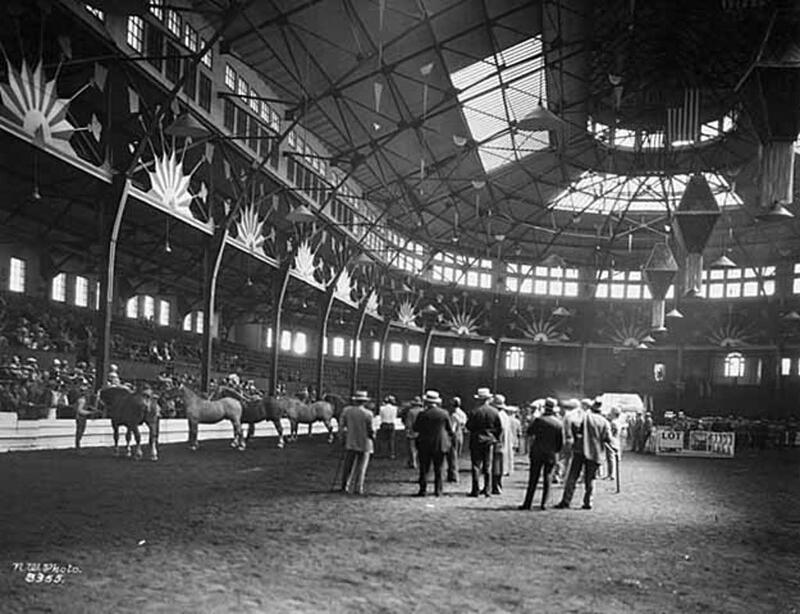 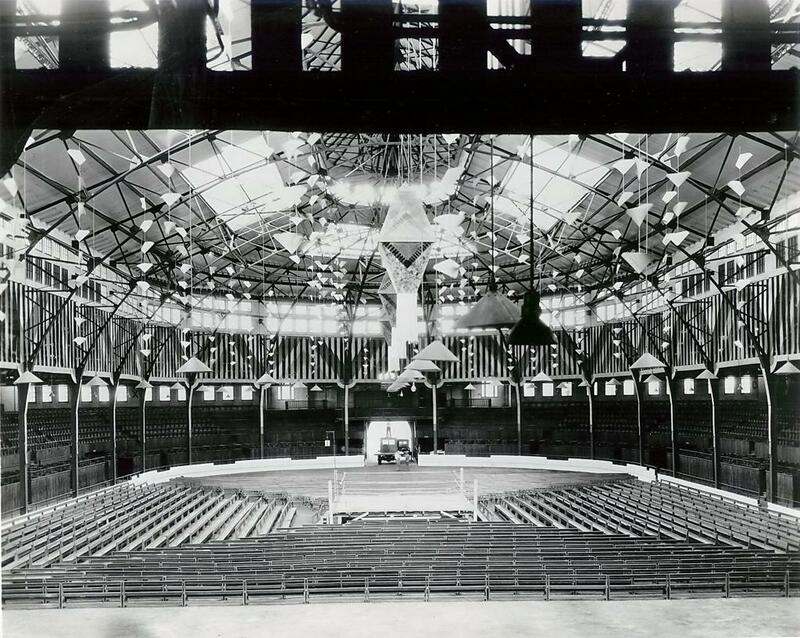 During conversion to a propellor plant, the original hippodrome was badly damaged and declared unsafe for use, and was subsequently torn down in 1946 prior to the new Hippodrome (later renamed Coliseum) before opening in 1951 at a cost of $1.2 Million that at the time of construction was the countries largest interior equestrian building. 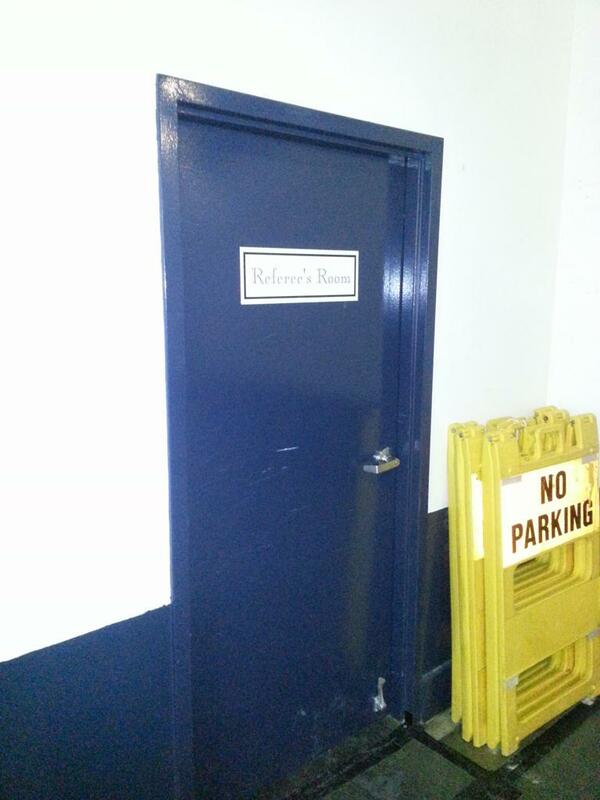 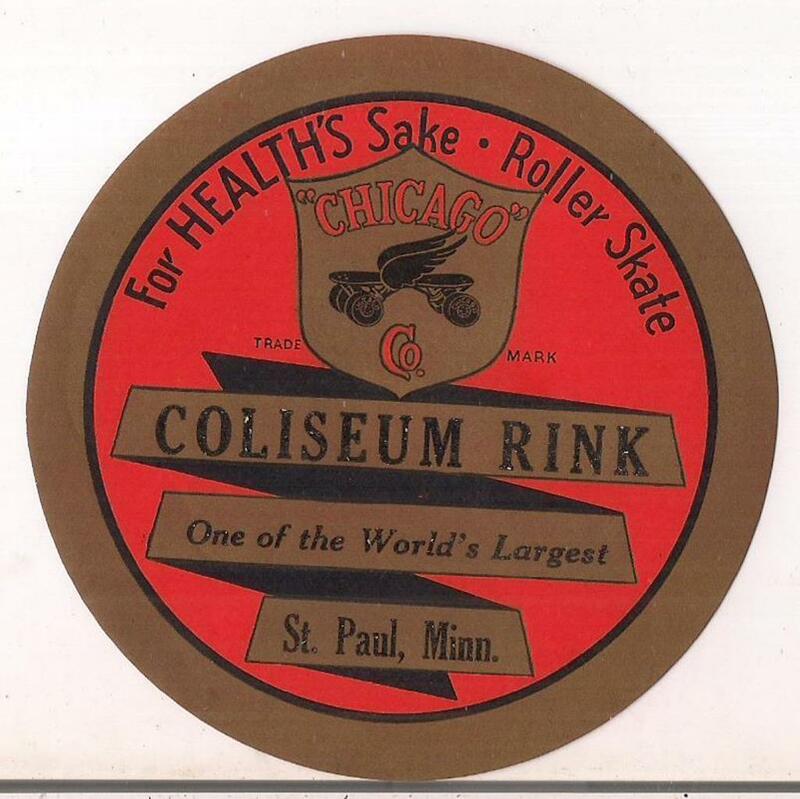 The Hippodrome/Coliseum almost made a bit of NHL history. 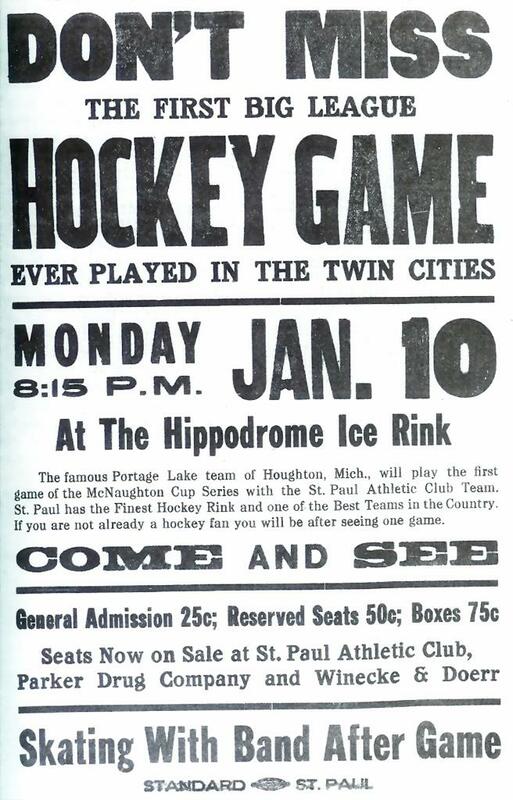 In 1965, when the NHL announced the new expansion era, the Twin Cities were among the Cities strongly vying for an NHL club. 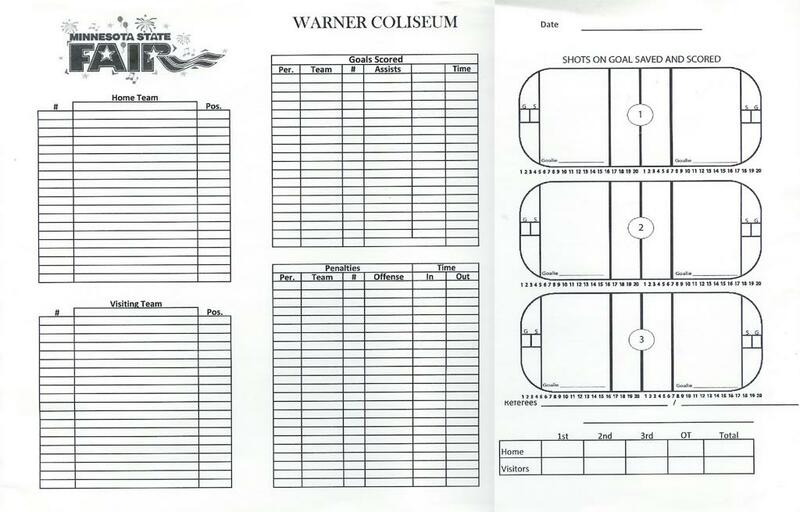 Majority owner/partner Walter Bush Jr. was quoted as saying: "The local stumbling block to an NHL franchise lies on a arena that could accommodate the team based on NHL standards. 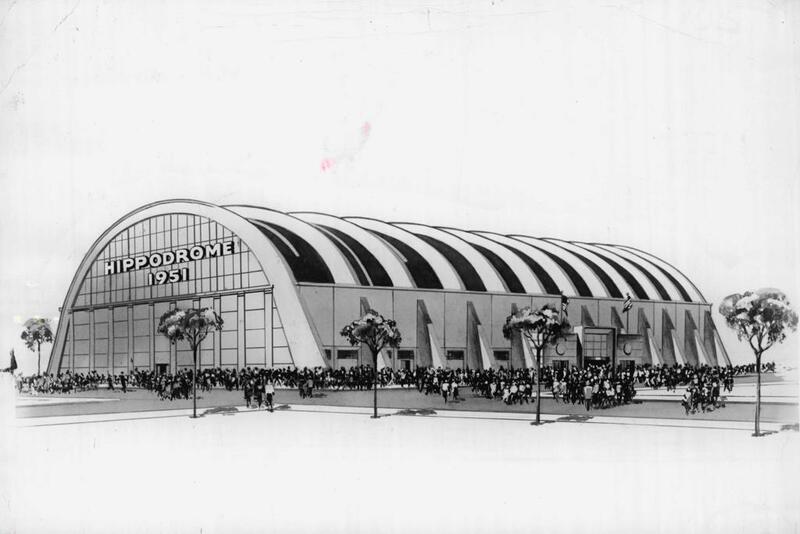 The groups current plans are based on the expansion of the Hippodrome, as it currently seats 8,000, but it could be expanded to seat 13,000 by 1967 when the new league starts play". 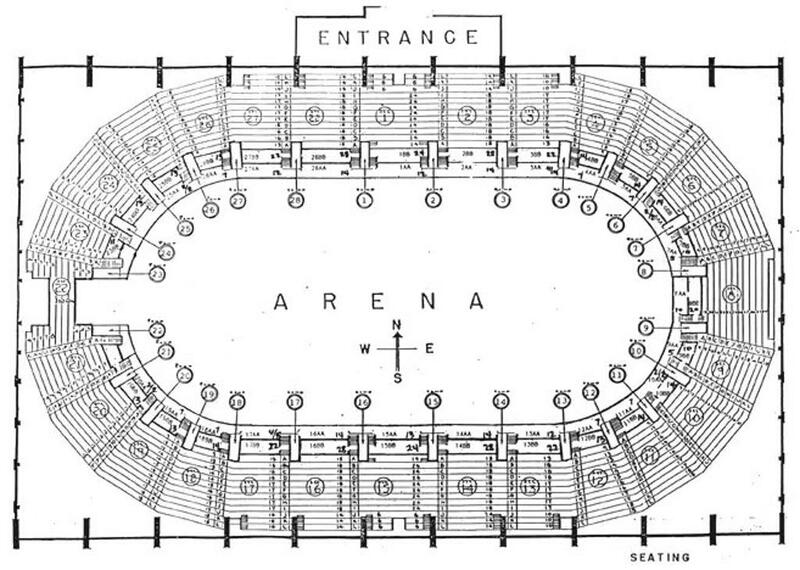 History now shows, that the Met Center was eventually built for the 1967 expansion Minnesota North Stars and these plans, from 1965 did not go through. 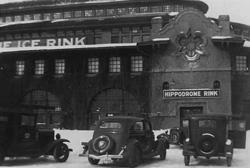 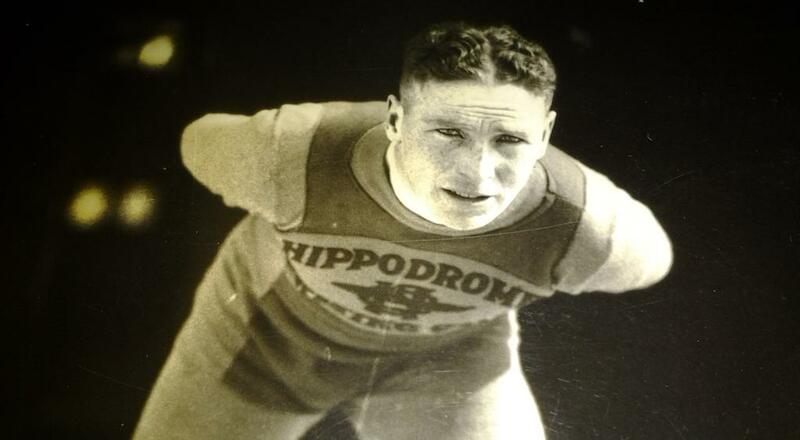 Today the only remnants of the original 1906-1946 Hippodrome are in old photos and in published newspaper stories of the great teams and players that once skated in this location. 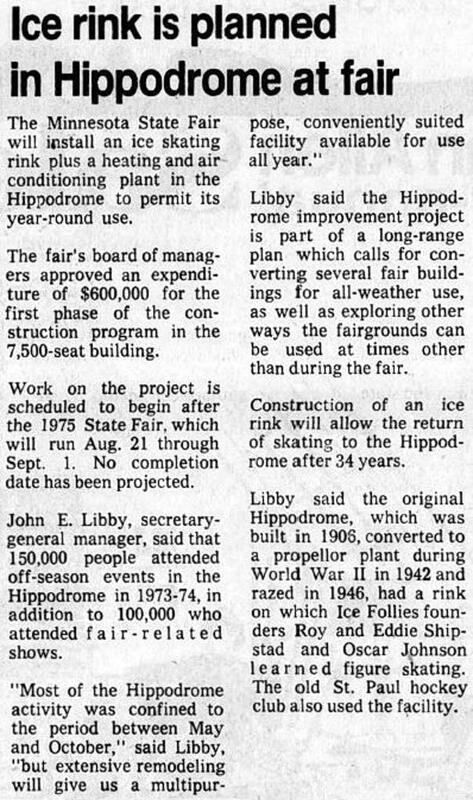 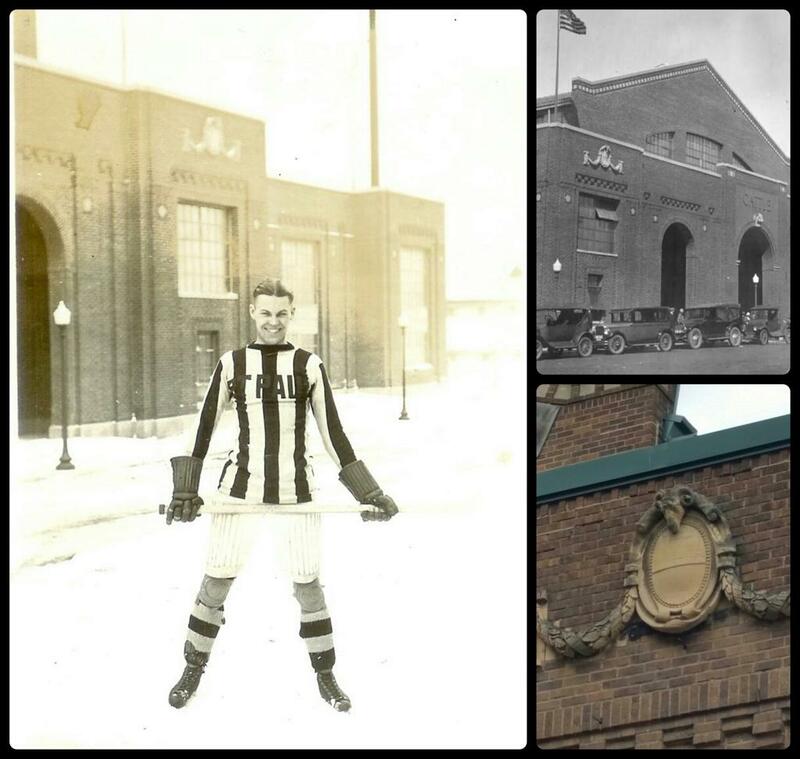 Up until February, 28 2014 - when the State Fair committee deemed that the "aging ice plant within the 1951 erected Coliseum was in need of expensive repairs and they were going to remove the ice for good" marking an end of an era. 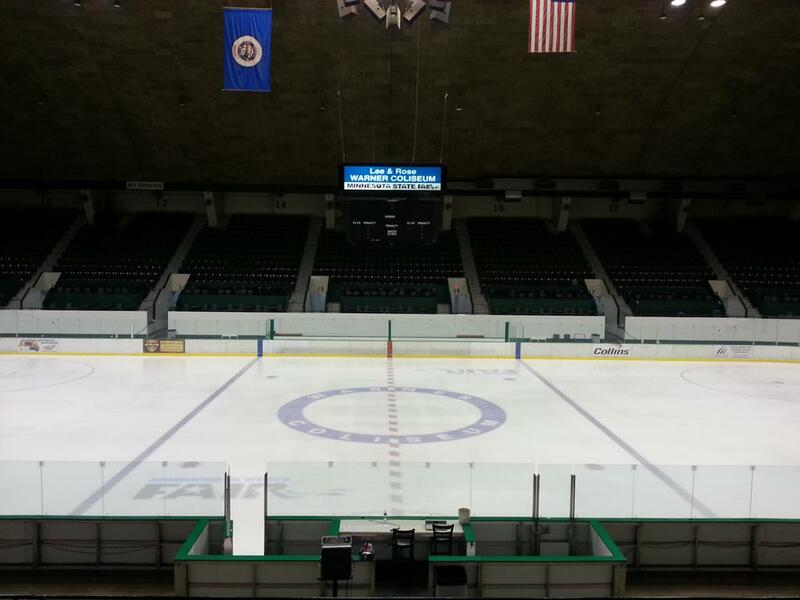 Numerous Minnesota State High School players took to the ice annually for section playoffs in heated battles for the wage of landing in the State Tournament. 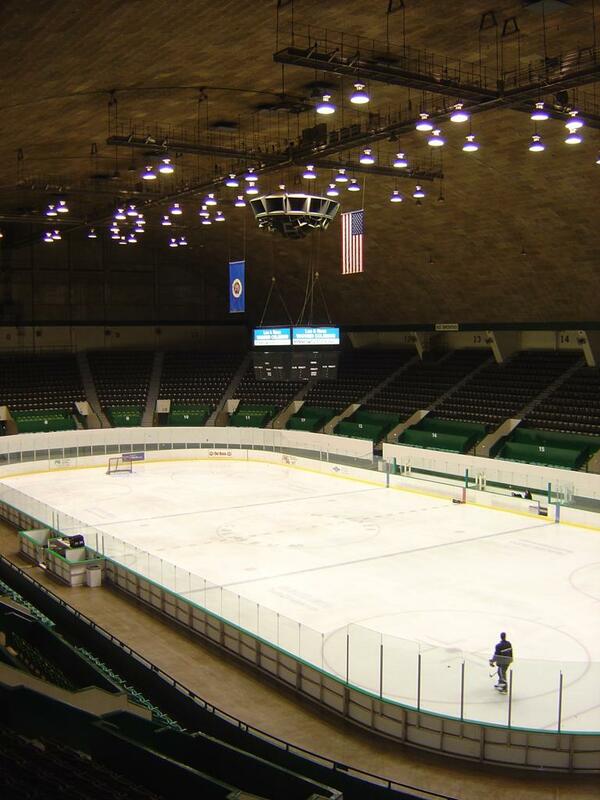 The last games played, within the Warner Coliseum were on the evening of February 28, 2014: Centennial High School Cougars-2 vs. Blaine Bengals-1 in the Class AA, Section 5 championship game, and Stillwater Ponies-2 vs. Hill-Murray Pioneers-1 Class AA Section 4 championship game. 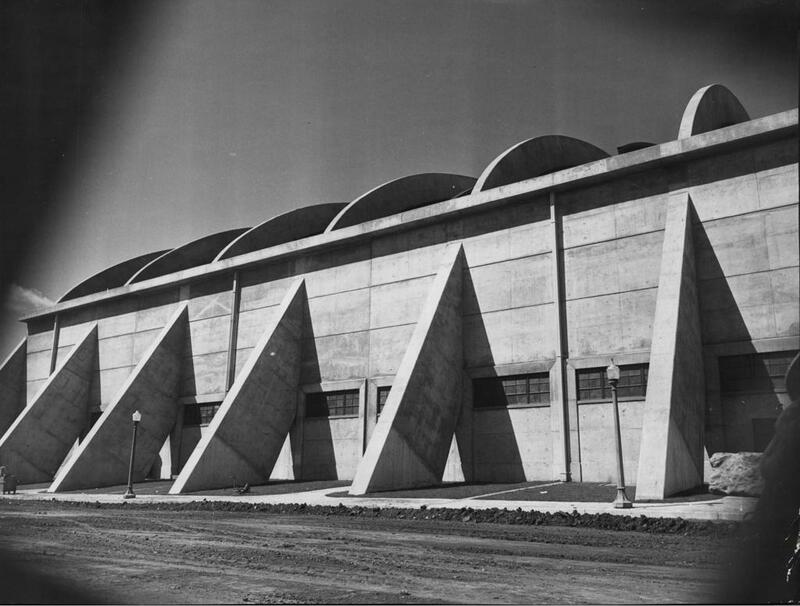 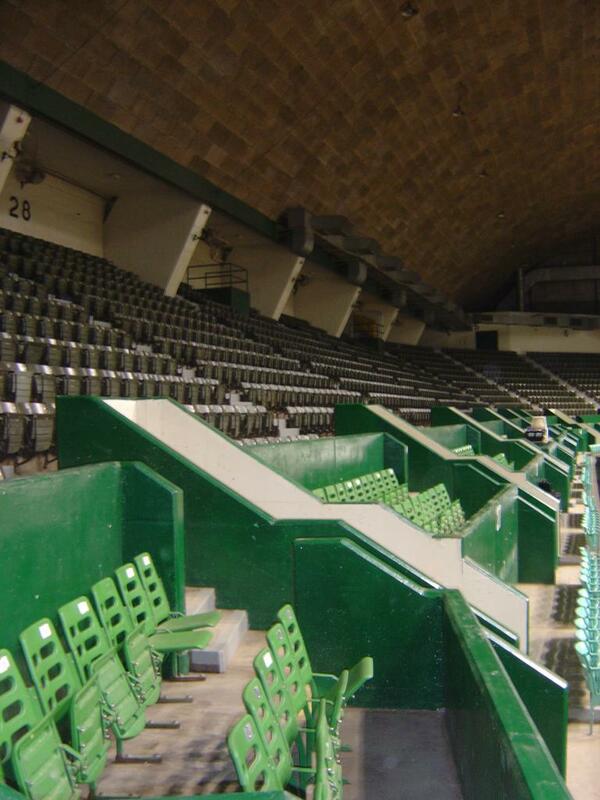 Just as the memories of the 1906 Livestock Coliseum/Hippodrome have been etched in the annuals of history, so will the games played, and memories shared, of players and fans alike at the 1951 Coliseum. 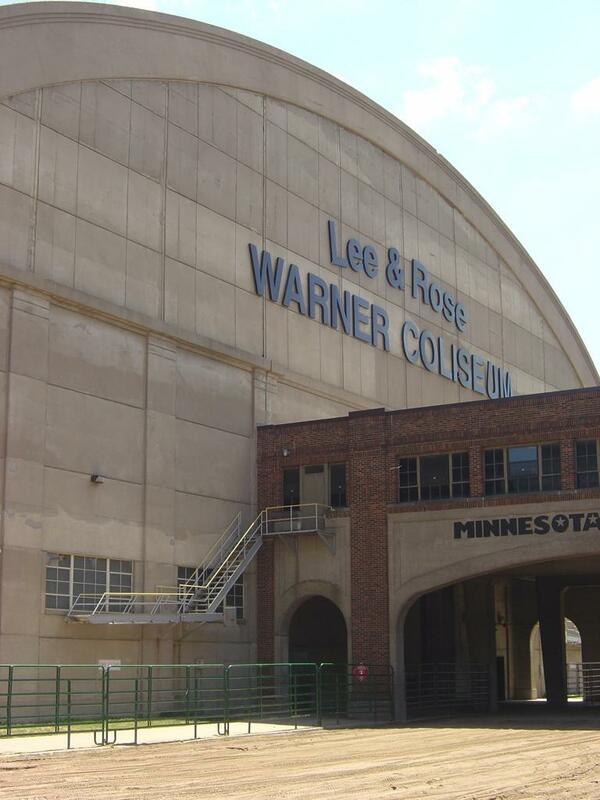 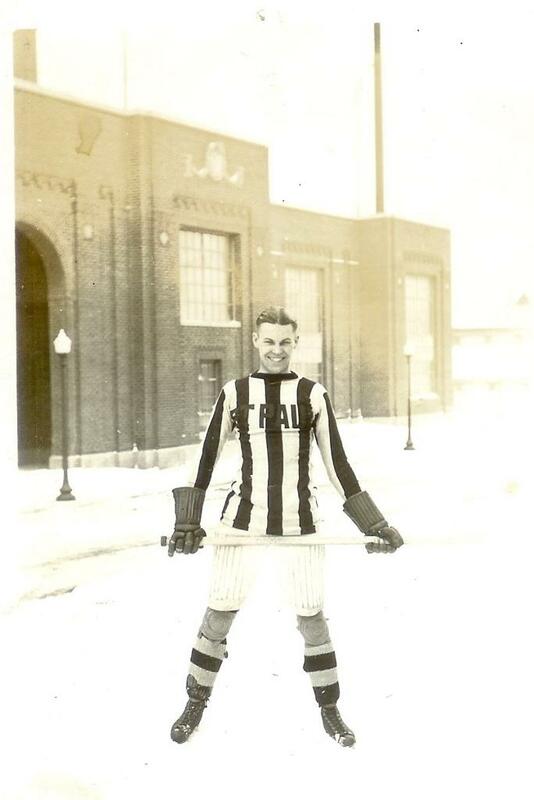 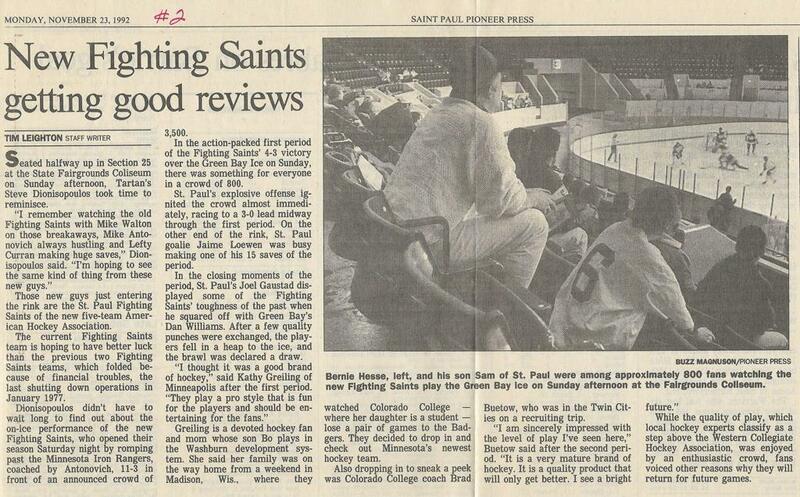 The soil where today's Lee and Rose Warner Coliseum lies is widely considered to be: Minnesotas' most hallowed hockey grounds, where some of the most legendary players that ever played the game in Minnesota during the St. Paul Athletic Club era. 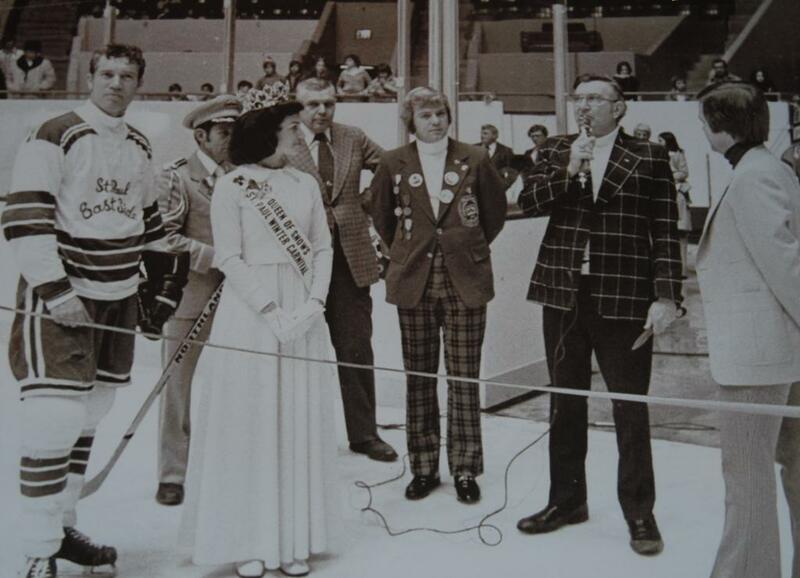 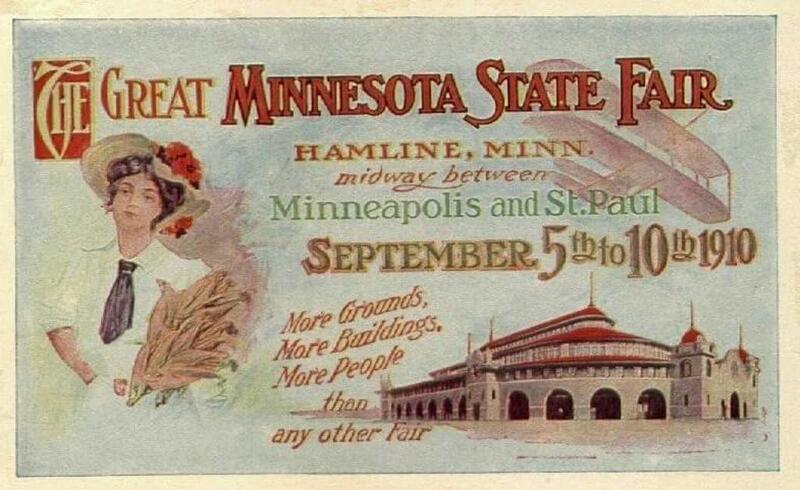 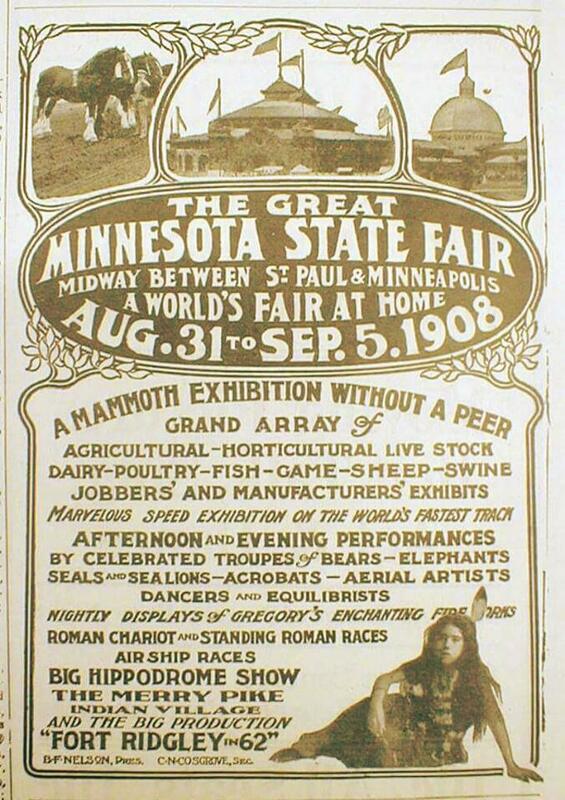 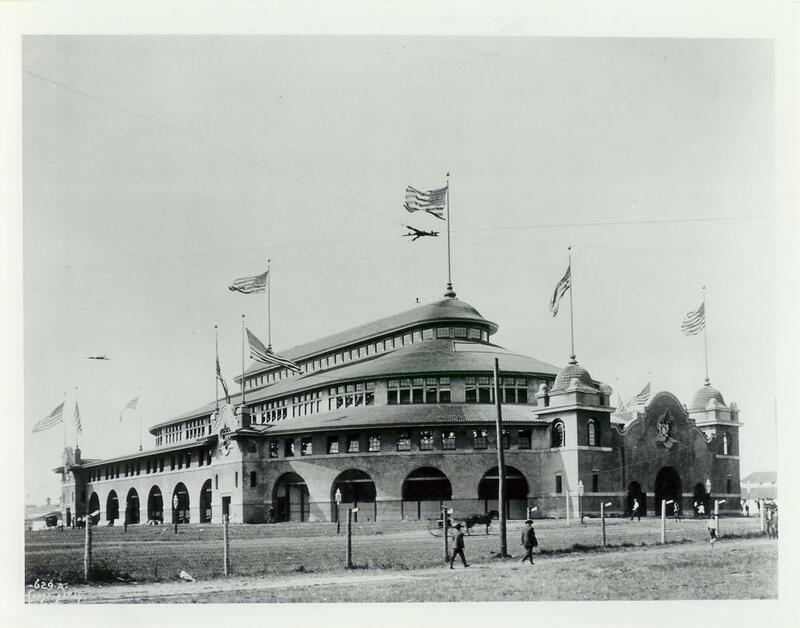 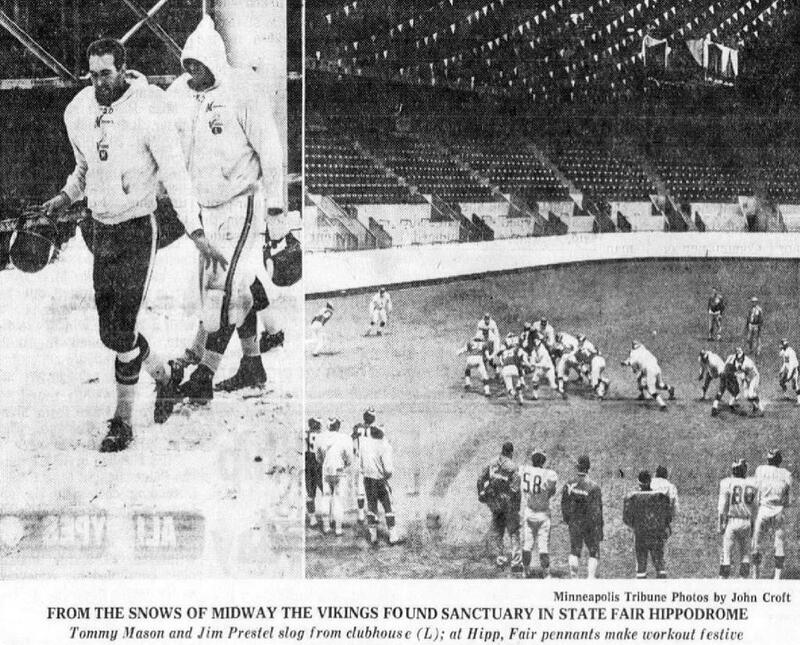 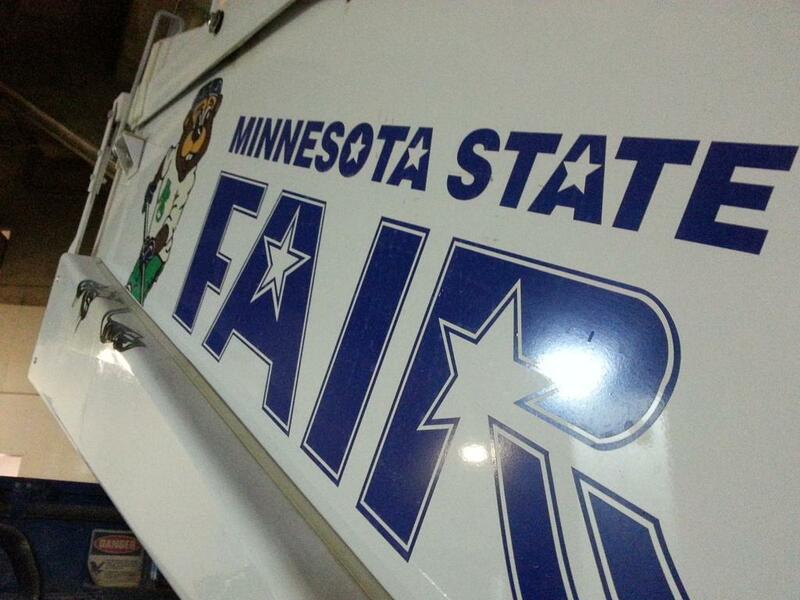 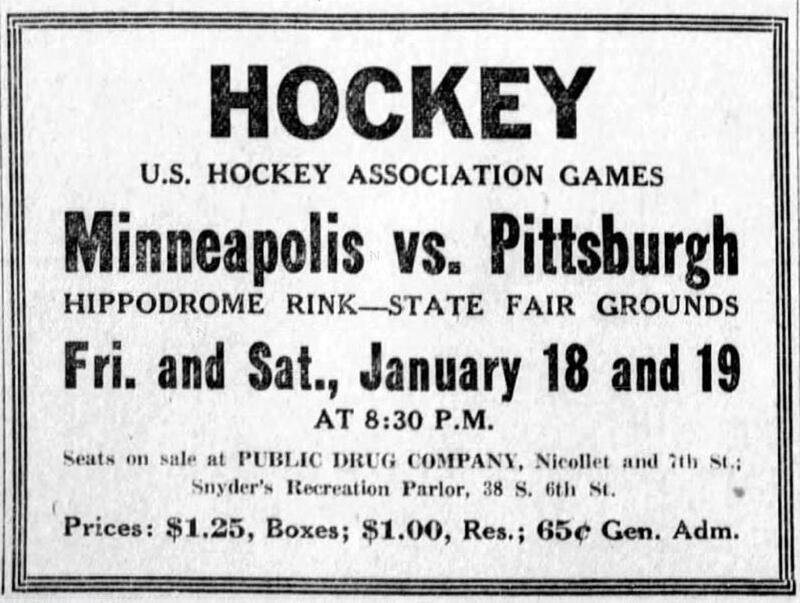 One could say: "At the Minnesota State Fair, and in this Hippodrome/Coliseum grounds - it is the most storied location from Minnesota's hockey history - a place in which Minnesota became the State-of-Hockey". 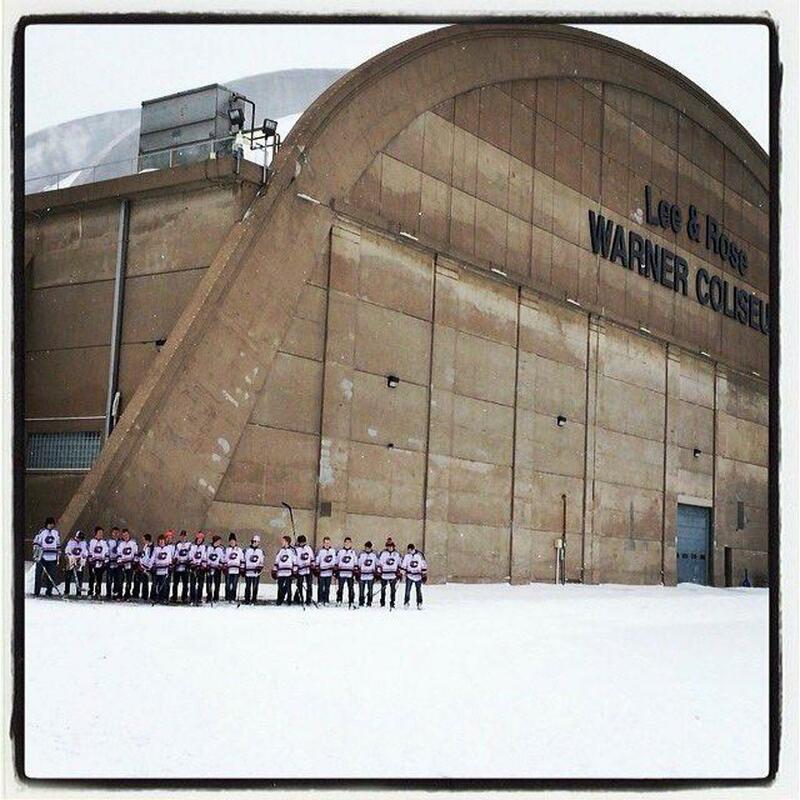 Final day of the Coliseum video shot and submitted by Nick Barr at Northome Films for respective placement on VintageMNHockey. 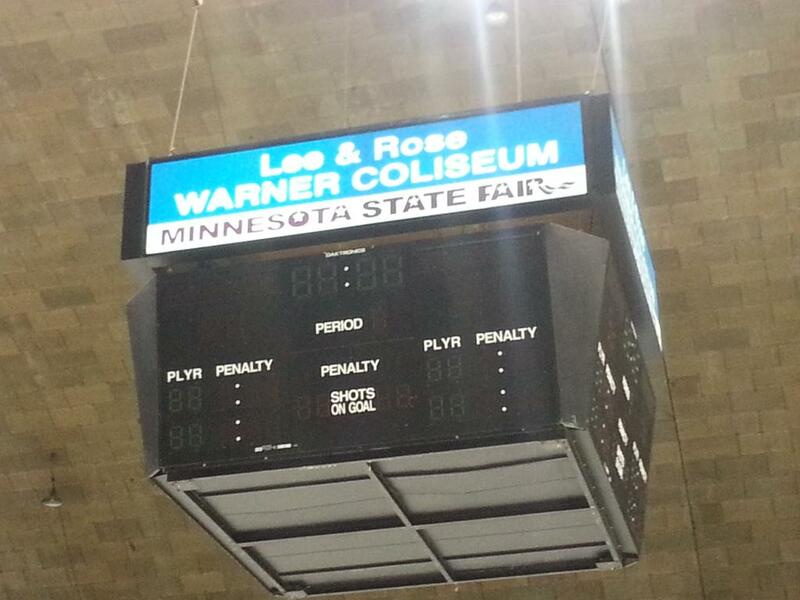 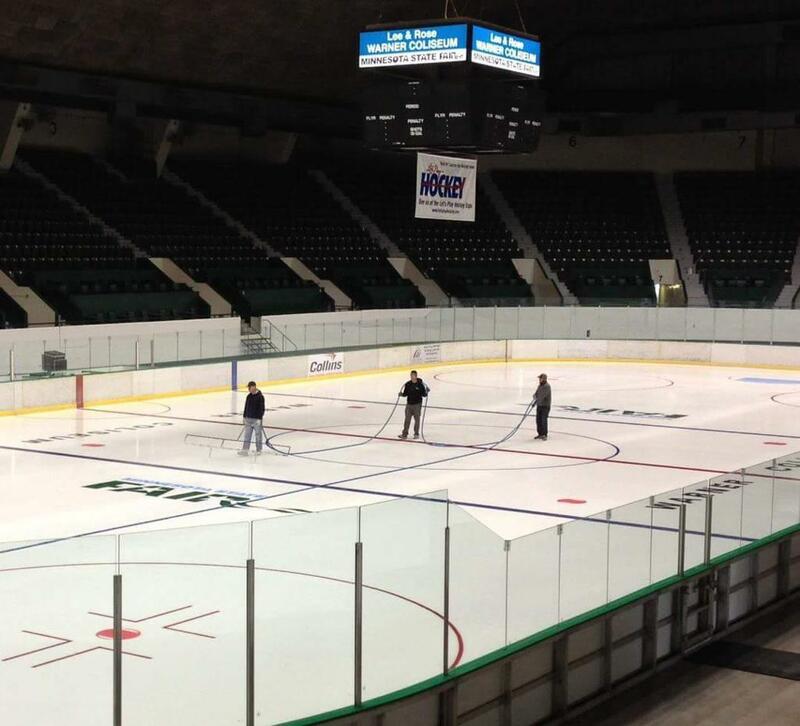 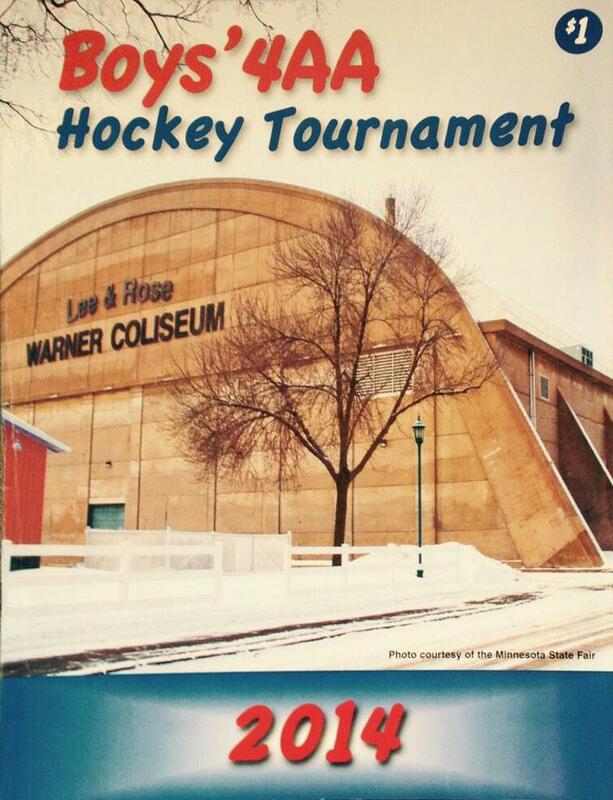 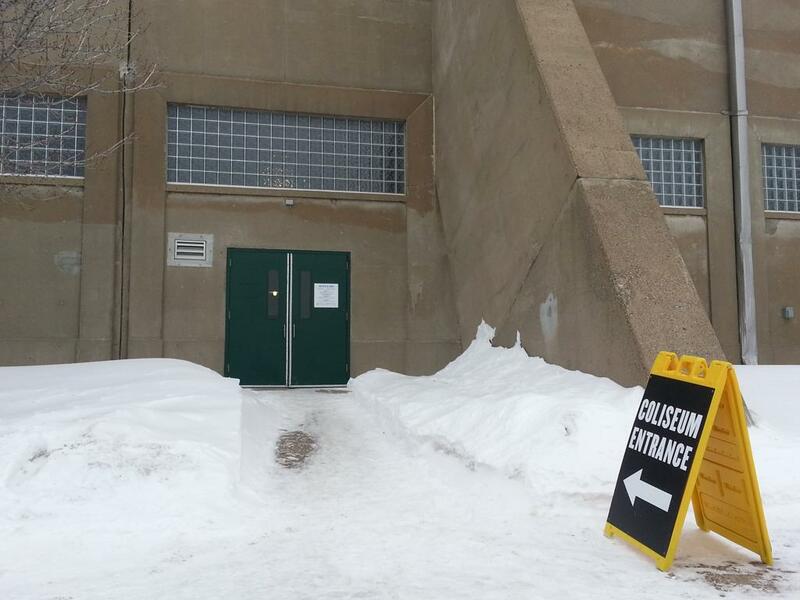 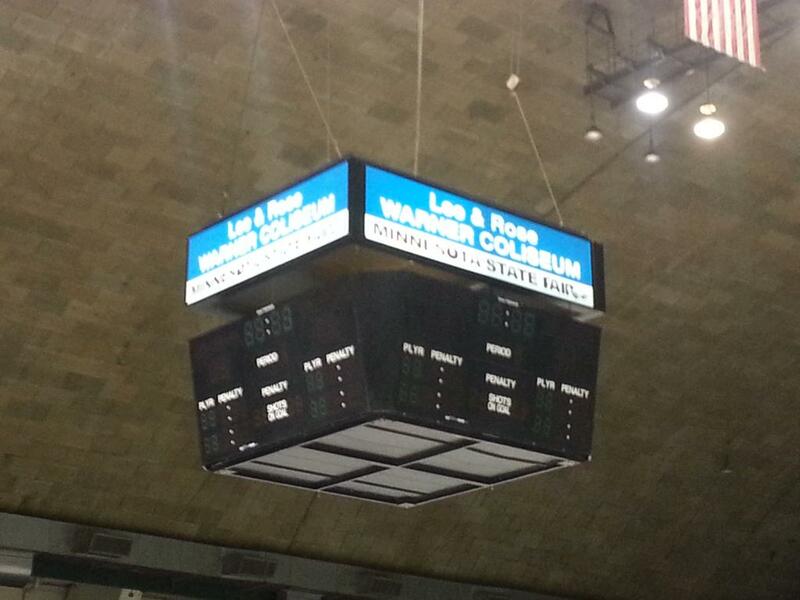 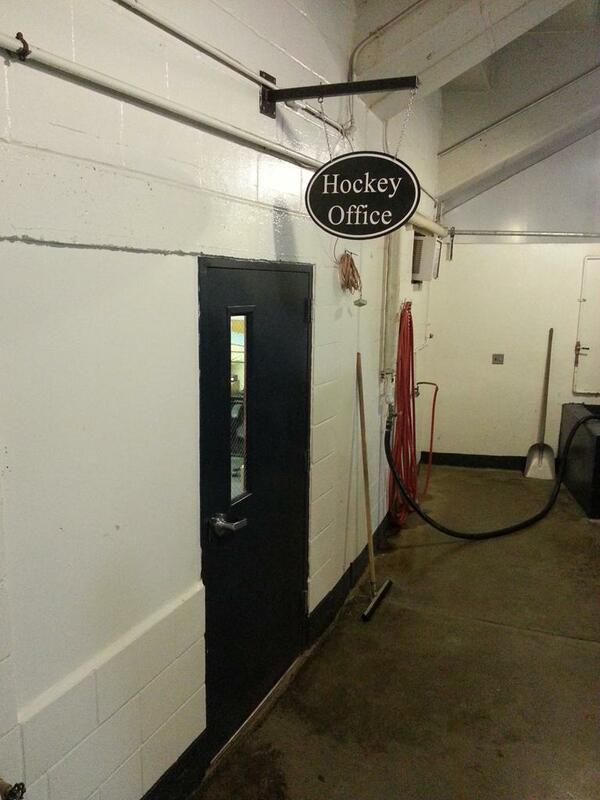 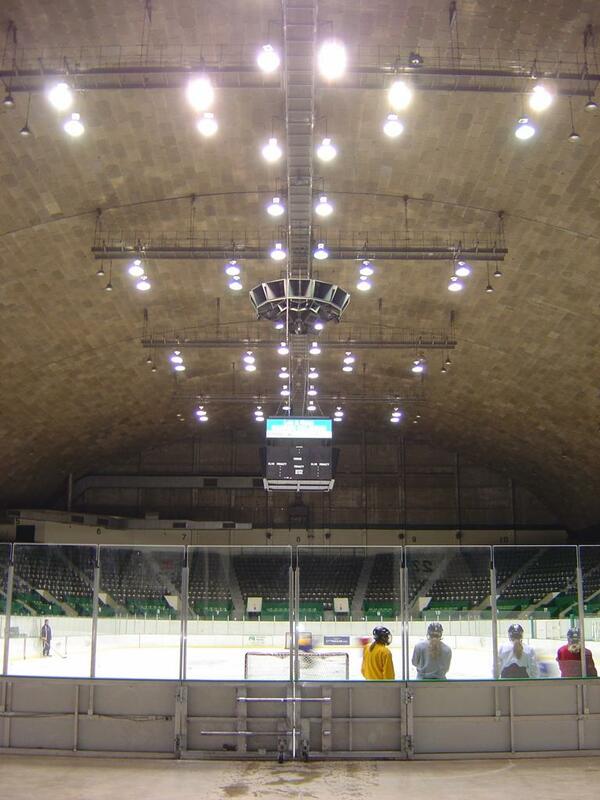 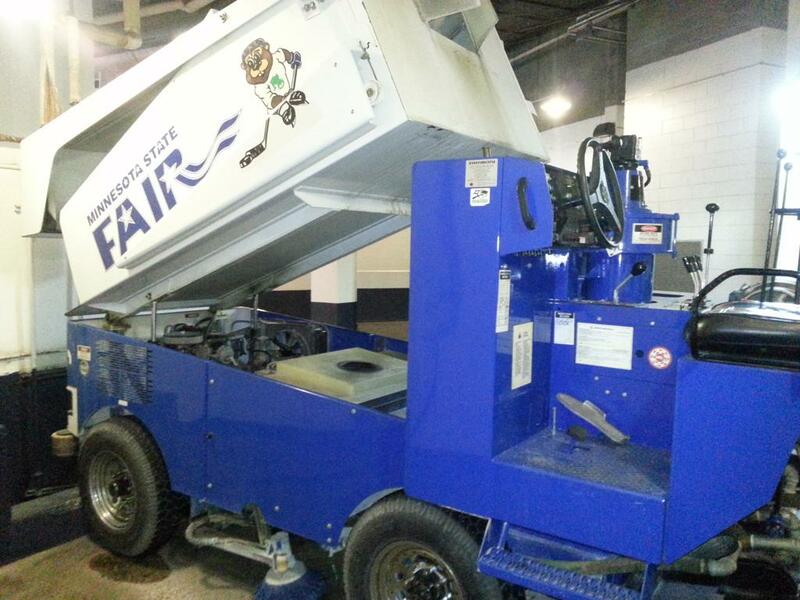 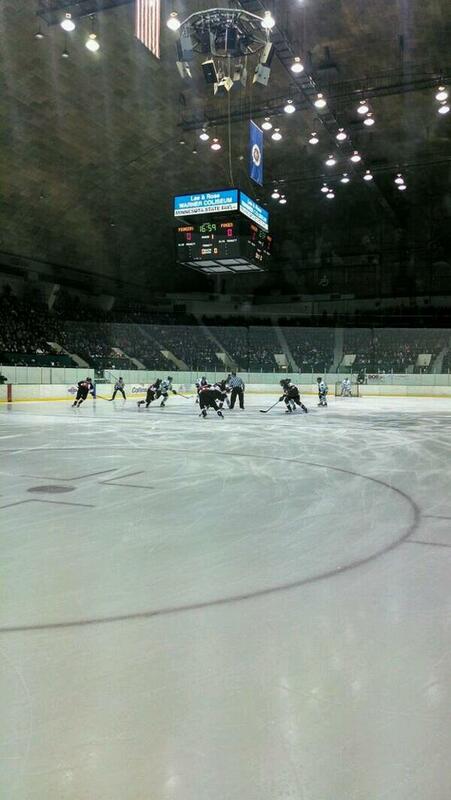 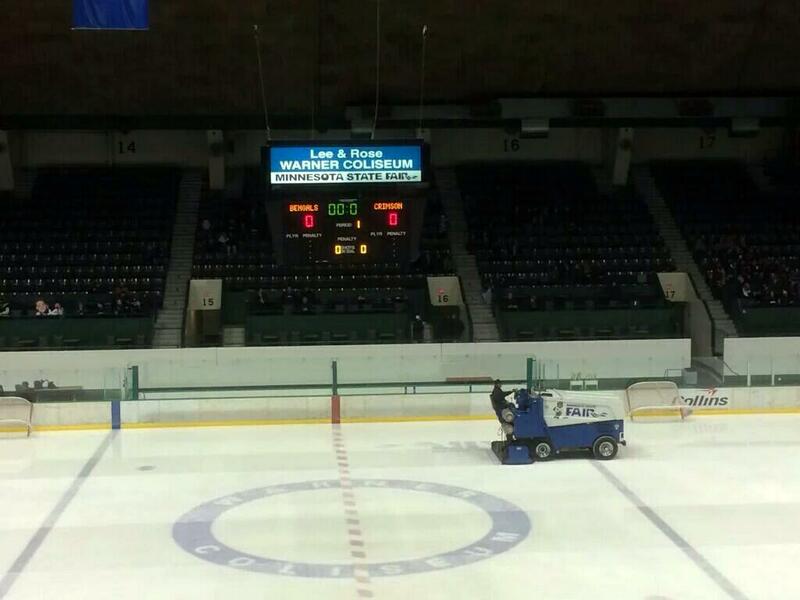 The Lee & Rose Warner Coliseum on the State Fair Grounds removed the ice for good following the 2014 Boys Regional Playoffs as the aging ice making plant was in need of repair. 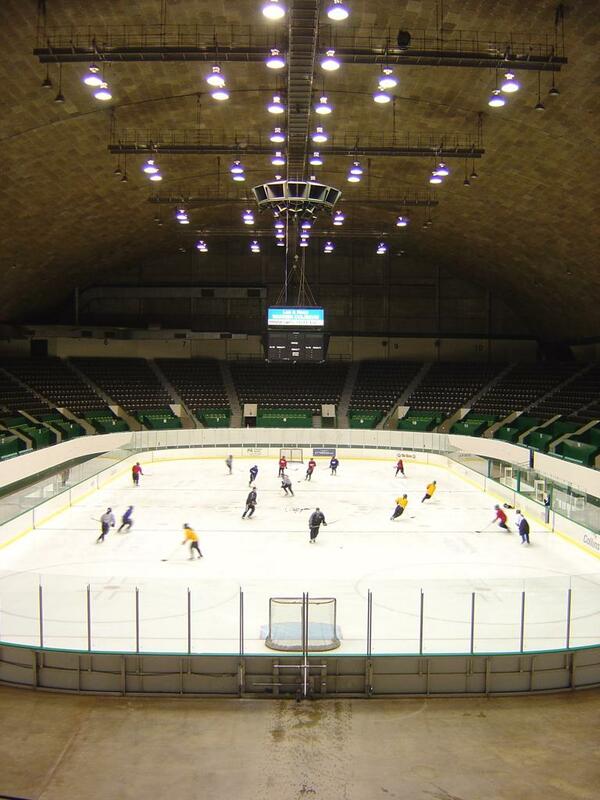 Following a "fairwell to the ice" open skate held on March 1, 2014 the historic building will never again see ice in this historic location. 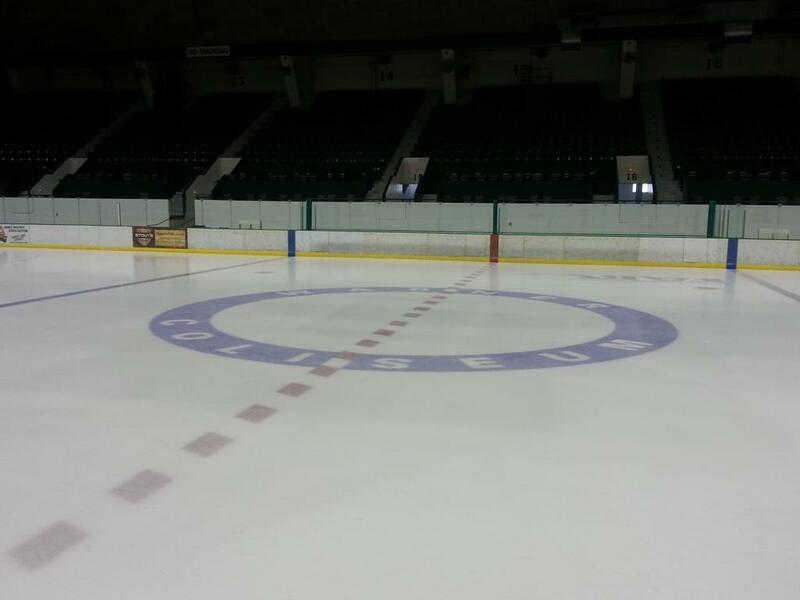 This 4 minute walk-through video was shot on the morning of February 28, 2014 (The last day of hockey play in the Coliseum).